Which individual matchups should you keep an eye on this weekend? There are many, many games within every game — especially in the nuanced sport of football. Which of those mini-games — or, as they’re more commonly known, “individual matchups — are most interesting entering the NFL’s conference title games? This is simply a heavyweight fight. We all know the key to beating Tom Brady and the Patriots is to get inside pressure without sending extra rushers, and that job will mainly fall on Jones. The Pats won’t likely be able to double-team the second-team All-Pro defensive tackle often while their tackles worry about elite edge-rushers Justin Houston and Dee Ford, leaving Mason — one of the best right guards in football — and fellow interior offensive linemen Joe Thuney and David Andrews with their hands full. Houston spends the majority of his time lining up against the left tackle, making his matchup with the mountainous Brown a little bit more integral than Ford versus New England right tackle Marcus Cannon. After all, Brown will be charged with protecting Brady’s blind side. And while he did a fine job at that against the Chargers, he did not have a particularly good season altogether. Will he come back to earth against one of the best pass-rushes in football? As you can tell, like most playoff games, this one will likely be decided in the trenches. And while all eyes will be on Jones, Houston and Ford when New England has the ball, the matchup between Flowers and Schwartz could have a tremendous impact on Kansas City’s offensive progress. The Chiefs want to give young Patrick Mahomes plenty of time to work. 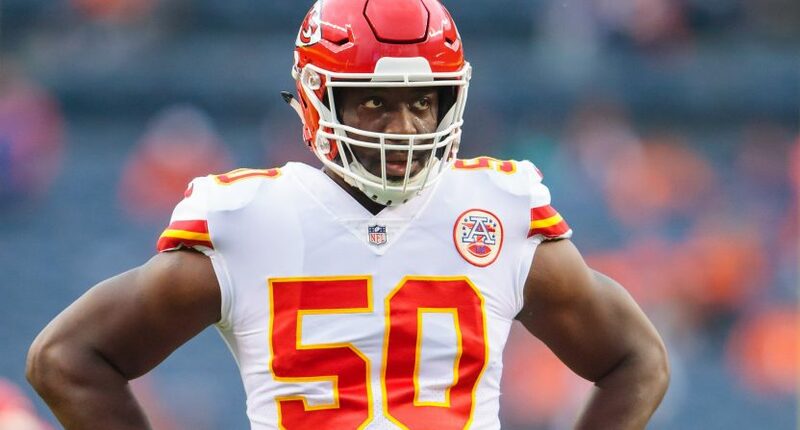 Flowers, who takes most of his snaps on the left side of the defense, has been quietly fantastic all season, but he’ll be matched by Schwartz — the All-Pro Chiefs right tackle. This should be a lot of fun to watch, especially because the dynamic Flowers is also a strong run defender. Stephon Gilmore might be New England’s best cornerback, but look for the faster Jason McCourty to spend the majority of the day matched up with Hill — who just might be the quickest player in the league. McCourty will almost certainly get plenty of help, but how he fares early on in Hill’s routes could determine how much damage the Chiefs are able to do on offense. In their regular-season meeting, Hill was actually limited to just two catches for 16 yards on five targets against McCourty. This might actually be Wade Phillips against Sean Payton, because the Rams defensive coordinator will have his work cut out for him trying to slow down Thomas. The league-wide receptions leader schooled the Philadelphia defense in the divisional round. He’ll likely see a wide array of coverages from Phillips on Sunday, but after Marcus Peters struggled badly in one-on-one-matchups with Thomas in their regular-season tilt, look for the steadier Talib — who was injured for that game — to spend more time battling the Saints’ top receiving threat. The inevitable defensive player of the year will spend a lot of his time trying to pick on maligned Saints guards Andrus Peat or Larry Warford, which is exactly why Unger will be forced to spend much of his day taking on Donald. That won’t be easy, but the three-time Pro Bowler is a strong pass-blocker. Look for Payton and Pete Carmichael to go out of their way to put Unger on Donald while hoping that either guard can handle Ndamukong Suh. The Saints suffered a major blow with the loss of Sheldon Rankins, who tore his Achilles on Sunday. That’ll put extra pressure on underrated defensive tackle David Onyemata, who should receive a larger-than-usual workload and will be tasked with trying to slow down the Rams’ battering-ram running game. That of course means having to deal with Todd Gurley, but it’s Anderson who is doing the most damage inside right now. The recently-signed journeyman back has rushed for 120-plus yards in three straight games, with most of that yardage coming up the gut. While Kamara is one of the best pass-catching running backs in the league, the unheralded Littleton is one of the best linebackers in football when it comes to covering backs. He led all NFL linebackers with 13 passes defensed during the regular season, and he did a superb job both last week against Ezekiel Elliott and in Week 9 against Kamara and the Saints.